Format: Television show and Audio. Time of Origin: Appear to have been around since at least the time of the Roman Empire to the future. 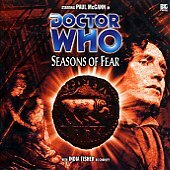 Appearances: "The Horns of Nimon", "Seasons of Fear" and "The God Complex"
History: The Nimon may be some of the most heartless being that The Doctor has ever encountered. They journey from world to world, on a pilgrimage they call 'the great journey of life', in capsules via small artificially created black holes, draining the worlds they leave of all their energy. They can kill with bolts from their horns and at least some of them have been shown to be capable of constructing a complex of shifting walls. They normally infiltrate planets by sending one of their kind on from their previous location during a period when the planets involved are particularly aligned to each other, this Nimon claiming that they were the sole survivors of their race, and promising the people of the new planet advanced technology in exchange for 'sacrifices' from other planets. These victims were used to provide energy to generate the portals for the rest of the Nimon to travel through without the need of the planetary alignment necessary for the original transference, thus starting the destructive events all over again. However, the Nimon eventually bit off more then they could chew while they tried to conquer the planet Skonnos, which used to be the centre of a vast empire which died out after a long period of civil war. By this point, only the Skonnos army was left, their technology and weapons virtually falling apart as their chief scientist Soledeed was the only non-military man left. Following their usual pattern, one of the Nimon offered the people of Skonnos advanced technology in exchange for human sacrifices from the nearby planet of Aneth, threatening Aneth using their past reputation despite their inability to enforce that threat. The plan progressed well for a time, with Soledeed too arrogant to ever question why the Nimon was doing this, until the Fourth Doctor and Romana discovered the ship transporting the last batch of sacrifices, the ship having suffered an overload when its pilot pushed its antiquated systems too far. The Doctor managed to repair the damage, but the ship then left with Romana, leaving The Doctor and K9 trapped in the TARDIS, which, unfortunately, had been going through a complete systems maintenance check-up by The Doctor, and so wasn't capable of dematerialising at the moment. Fortunately, The Doctor managed to get the TARDIS working long enough to get to Skonnos, where he and K9 managed to track down Romana and the other 'sacrifices' inside the Nimon complex. During their search, Romana discovered the capsule the Nimon had used to travel from their previous conquest, the planet Crinoth, briefly travelling to Crinoth and learning more about the Nimon with the aid of Sozem, Crinoth's last survivor. Thanks to Sozem,s experience, Romana learned more about the Nimon's technology and plans, as well as acquiring a weapon that could be used to stun the Nimon. Once Romana had returned to Skonnos, The Doctor configured the Nimons' equipment to divert the black holes they were using for transport into the middle of nowhere. With the first wave of Nimon on Skonnos having been killed, the complex was set to self-destruct by the now-insane Soledeed as The Doctor and Romana fled with the sacrifices, thus trapping the Nimon on Crinoth as it began to die as they had no power available to send themselves anywhere else. The Doctor's next encounter with the Nimon was far less direct then this one, and it took place four lifetimes later. The Eighth Doctor, attempting to take his companion Charley Pollard to a rendezvous in Singapore, was confronted by a man called Sebastien Grayle after he finally made it to the city, Grayle introducing himself as an immortal who'd succeeded in killing The Doctor in his future; however, since The Doctor hadn't left behind a body to gloat over after his death, Grayle had requested that his 'masters' - the Nimon - create a pocket timeline so he could brag to a past version of The Doctor about his victory instead, with this world being an elaborate fake created by Grayle's masters. Despite Grayle's confidence of his victory, The Doctor realised that Grayle's actions had changed the normal law of time, so he could theoretically change history so that those events never took place. Taking Charley, The Doctor headed back in time, meeting Grayle in various points in history where a key stellar alignment was about to take place. Tracking Grayle to Roman-era Britain, The Doctor learned that the Grayle of this era was a Roman officer who was a member of the cult of Mithras, which worshipped the god Mithras for killing a demon bull centuries ago, although Decurion Sebastius Gralae felt that the bull should have been the subject of worship. Finding a transmitter in Gralae's tent, The Doctor realised that he intended to use the other members of the cult as a sacrifice for his masters in exchange for immortality so that he could inherit his family's titles despite being the youngest brother, but although Charley was able to get the cult out of the temple in time, Gralae became immortal when psionic energy was beamed into him by his masters (Essentially the reverse of the method the Nimon used when dealing with their sacrifices). While Grayle could now live for a millennia at a time without being 'recharged' by the Nimon, The Doctor noted that he was unsure of the limits of Grayle's immortality; he was at least completely immune to radiation poisoning while also surviving a fall from a great height, and appeared confident that he couldn't be genuinely wounded by normal weapons, but he did age slightly between 355 AD and The Doctor's next encounter with him in the kingdom of Edward the Confessor in 1055. Using his role as a bishop with political aspirations in 1055, Grayle sought to use a primitive transmat powered by plutonium to bring his masters to Earth, also hoping that the radiation poisoning caused by the machine would kill off the local nobles. Disappointed that Grayle had simply become bitter and angry at the world after his long life, now regarding his masters as angels who would punish his enemies, The Doctor was able to warn the king and queen of Grayle's plans and he was forced to flee. Finding Grayle for a third time in Buckinghamshire in 1806, with Grayle now arrogant and believing that he deserved to rule, he provoked The Doctor into a duel, but The Doctor was able to use a sword taken from the original cult of Mithras to 'disrupt' Grayle's immortality. However, despite The Doctor discovering a primitive time corridor, he was unable to prevent Grayle's success as the Nimon finally arrived on Earth (The Doctor noting that he should have realised that he was dealing with the Nimon earlier, due to the bull-related mythology, his nagging familiarity with their technology, and the fact that Earth's position in the universe would create multiple opportunities for the Nimon to expand). Deducing that the 'demon bull' killed by Mithras had been an advance scout for the Nimon - while the sword was made of pure iron that had been contaminated by the energies of a black hole while passing through it with the Nimon - The Doctor tried to convince Grayle that the Nimon would have no use for him now that they had reached Earth, but Grayle had served his masters for too long to accept the idea that they might abandon him. With no other way to stop their invasion, The Doctor took the TARDIS into the time corridor the Nimon were using in an attempt to block it. Using the transmat pod that had brought the Nimon to Earth - now equipped with its own controls rather than being externally controlled like the one The Doctor had encountered on Skonnos - Grayle managed to get on board the TARDIS with his masters, forcing The Doctor to open the TARDIS doors and expel himself into the time vortex with several Nimon. 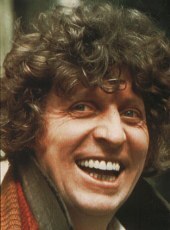 Although Grayle assumed that The Doctor was now dead, he was unaware that The Doctor had already programmed the TARDIS to generate a time corridor to specific coordinates, and while Grayle tried to find the TARDIS communication systems so that he could contact the Nimon and learn how to move it, but Charley, based on prior instructions from The Doctor, triggered the TARDIS's Fast Return Switch, sending them back to the Roman era at the time of their previous visit. With Grayle still mortal after his fight with The Doctor, he was killed by his past self, who refused to let himself become that thing that had lost all knowledge of love and honour. With The Doctor having given Graele some gold coins he had stolen from the future Grayle, Graele was now free to buy out his commission and go home to marry the woman he loved - the real reason he had sought money and power in the first place - vowing never to seek out his former masters, allowing history to be set back on its proper course. Although The Doctor has not fought the Nimon themselves since then, the Eleventh Doctor faced a minotaur-like alien that he identified as belonging to a race similar to the Nimon in "The God Complex", when the TARDIS materialised on board a prison ship created to contain a member of this race. Observing it, The Doctor concluded that it was an evolutionary offshoot of the Nimon that had evolved to feed on faith by arriving on planets and posing as a god - as opposed to the Nimon using others' belief in them to devise the necessary technology to progress on the 'Great Journey of Life' -, with the prison ship having been created by the creature's former worshippers after they realised the truth about it. With the ship having kept the minotaur alive for centuries by bringing people with strong faith to the ship, forcing them to confront their worst fears and fall back on their faith so that the minotaur could consume them, the TARDIS was drawn to the ship due to the strong faith that The Doctor's companion Amy Pond had in The Doctor. With no other way to stop the creature, which wanted to die but had such powerful instincts that it couldn't deliberately starve itself, The Doctor was forced to break Amy's faith in him, cutting off the creature's food supply and allowing it to die at last.